An emergency 24v supply system. Used to provide lighting over the escape area in all submarines. 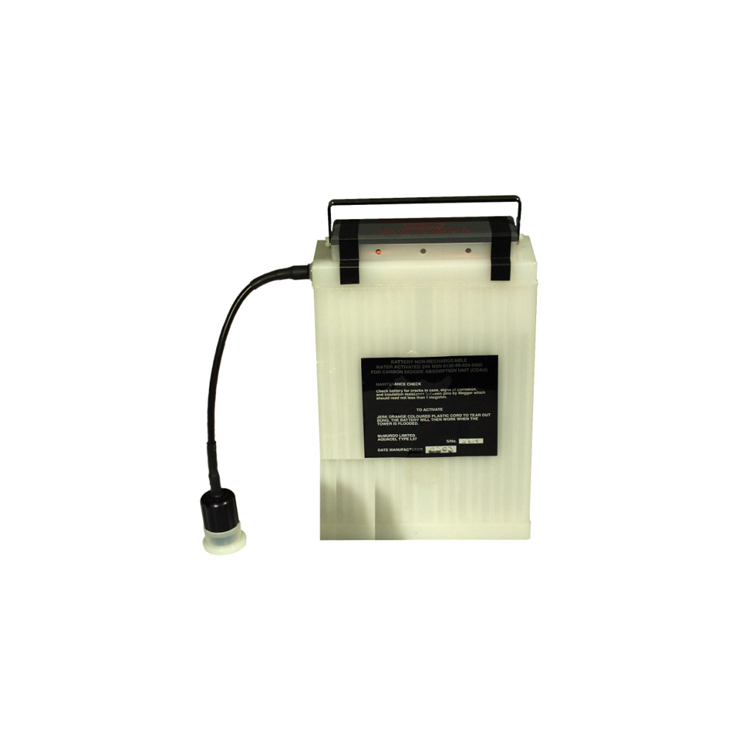 The battery consists of a polythene container with silver chloride and magnesium plates, designed to operate at pressures up to 400 p.s.i. The battery is sealed but incorporates a single action tear out plug for activating and is so designed that each cell is fully activated when the plug is removed. When the escape area is drained water is retained in the battery and the lamps continue burning. Light duration is 8 hours minimum under typical submarine escape conditions.